Sales Mindset Dominance | Proven 6 step methodology to improve the performance of sales teams. Free your sales team from the psychology that holds them back. There is something that underpins sales performance, and it isn’t covered in sales training. You can’t change it in the long term with sales incentives, and team building doesn’t really cut it. But it does make every bit of difference to your sales numbers. You might call it an X Factor. 8 times greater engagement in the business. 4 times greater retention. Hear from Helen Mitas, creator of the Sales Mindset Dominance Program, about how you can achieve stronger sales results. 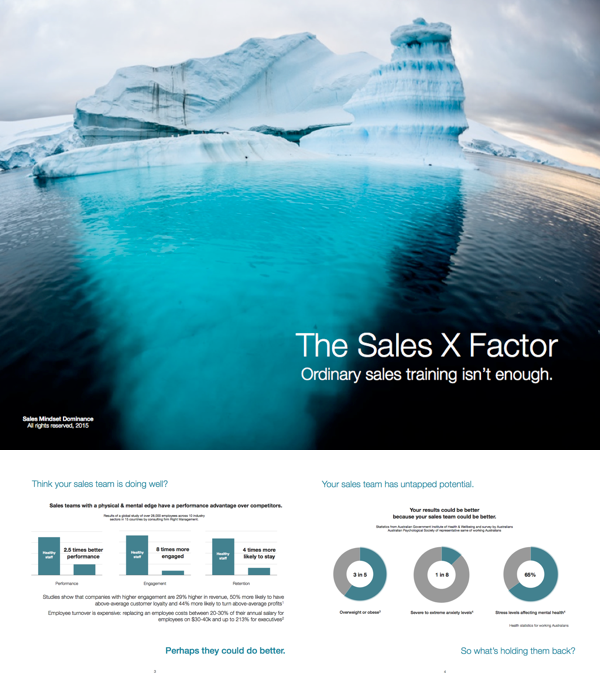 Discover the X Factor that sales training overlooks, which can result in a 2.5x increase in performance. Explore the 3 deep psychological challenges faced by sales professionals that, when not addressed, limit their sales performance. Learn how a proven methodology resulted in a step change in confidence, personal presentation and energy levels for one sales & marketing executive. Whether it’s an interactive presentation at your next sales conference or a complete 90 day makeover for your team, we can strip away the limiting beliefs and behaviours that hold your people back.